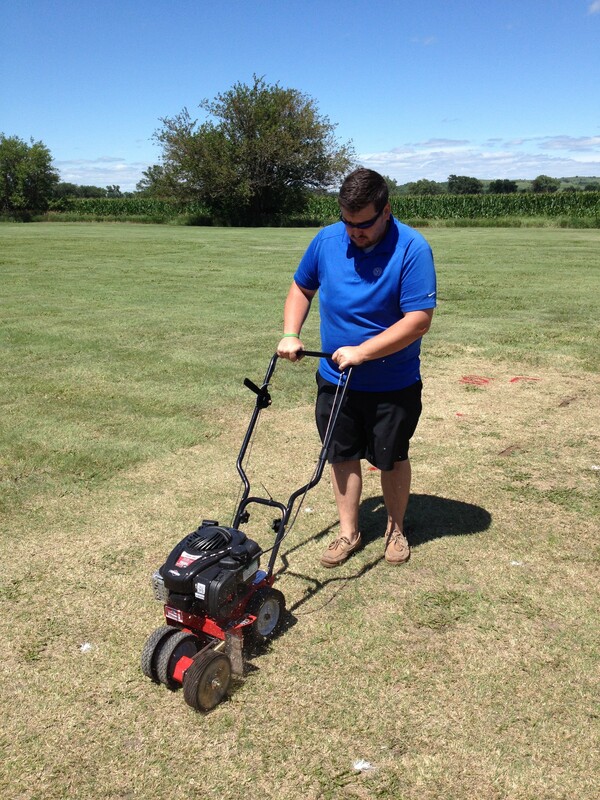 This is an article a friend of mine at UNL wrote a little bit ago but contains some really great information for you Sports Turfgrass Managers. Sorry for the delay in getting it out but I think it contains some good information for Kansas on planning your preemergence and nitrogen applications to sports fiends in this crazy spring we have been having. Enjoy! 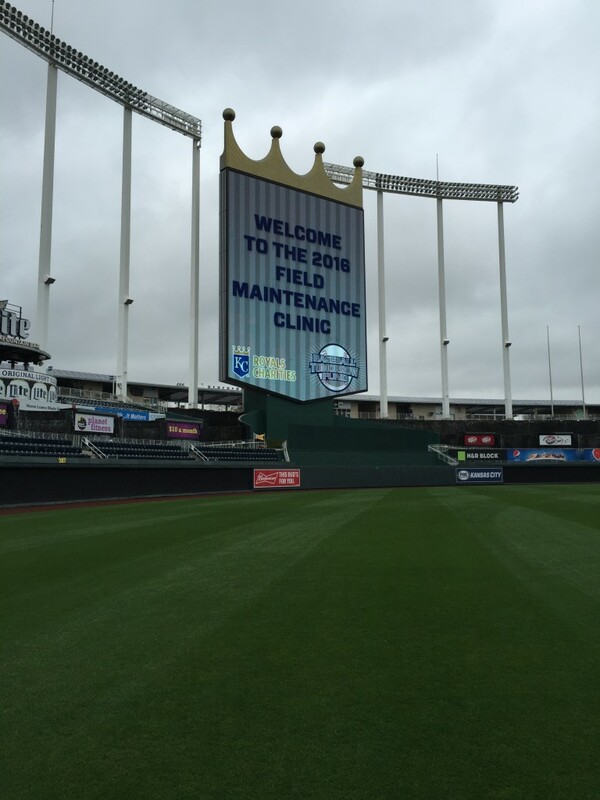 I had to throw this picture of Kauffman Stadium from the 2016 Sports Turf Managers Field Day! Looks Great! With increasing drought conditions and decreasing water supplies, drought tolerant turfgrass species are being explored for use on golf courses. With over 1.2 million acres of irrigated turfgrass in the United States, water conservation has become an issue throughout the turfgrass industry (Throssell et al., 2009). In recent years, the conversion from cool- to warm-season turfgrass species has become more acceptable in the transition zone. Golf courses in the Kansas City area converting tees and fairways from creeping bentgrass [Agrostis stolonifera L.] to zoysiagrass [Zoysia japonica Steud.] could reduce irrigation annually by 5,767,570 gal while reducing irrigation costs by up to $28,403 (Fry et al., 2008). In Kansas, the Ogallala aquifer provides up to 80% of the water used, although years of pumping has led to a steady decline in water levels (Buchanan et al., 2001). The use of drought tolerant turfgrass species would help conserve water supplies. Buffalograss [Buchloe dactyloides (Nutt.) 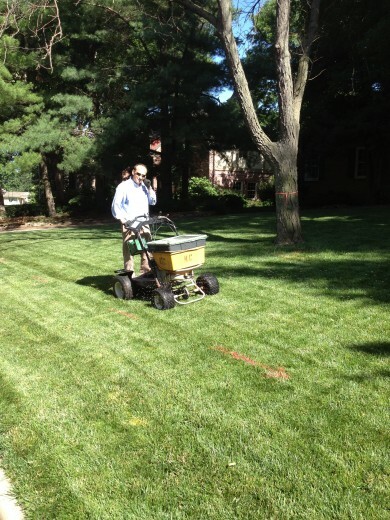 Engelm] is a native, drought tolerant, warm-season turfgrass species used for lawns, parks, athletic fields, roadsides, and golf courses in the Great Plains (Wenger, 1943; Beard, 1973; Fry, 1995; McCarty, 1995; Fry and Huang, 2004). Utilization of buffalograss on golf courses could lead to reduced water consumption while maintaining a reasonably dense playing surface. Previous research has demonstrated that buffalograss can be maintained as an acceptable fairway turf with proper management practices. Buffalograss responds to nitrogen (N) fertility, and studies in Nebraska and Colorado have shown increased buffalograss quality, color, and growth with increasing N (Falkenberg 1982; Frank et al., 2004). 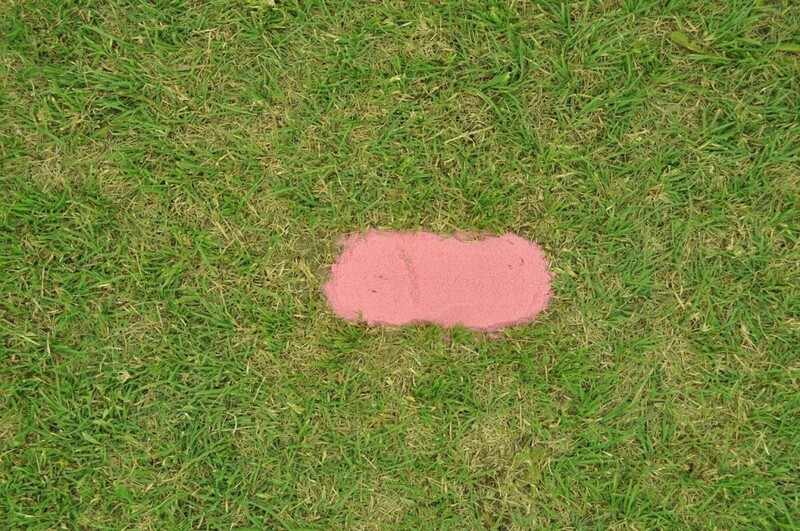 Golf course turf is frequently damaged by divots produced by players’ clubs when striking the ball. 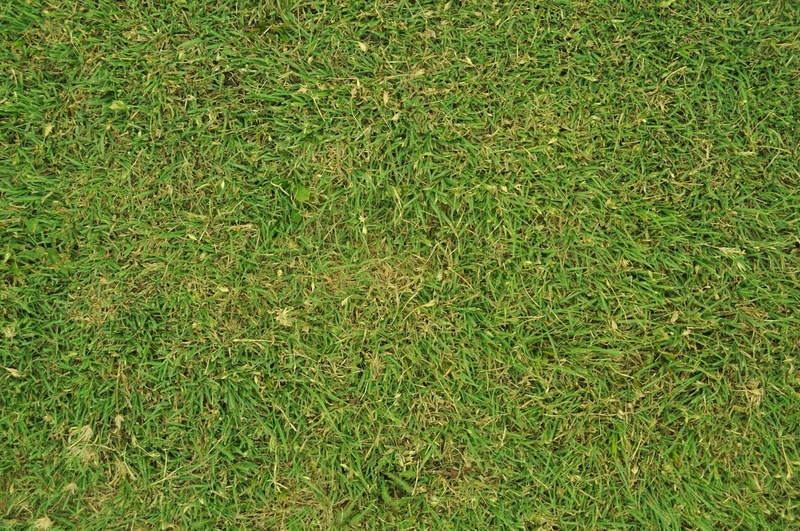 Although acceptable fairway buffalograss quality and playability can be achieved through proper fertility, divot recovery is of concern due to slow growth characteristics and minimal fertility requirements. 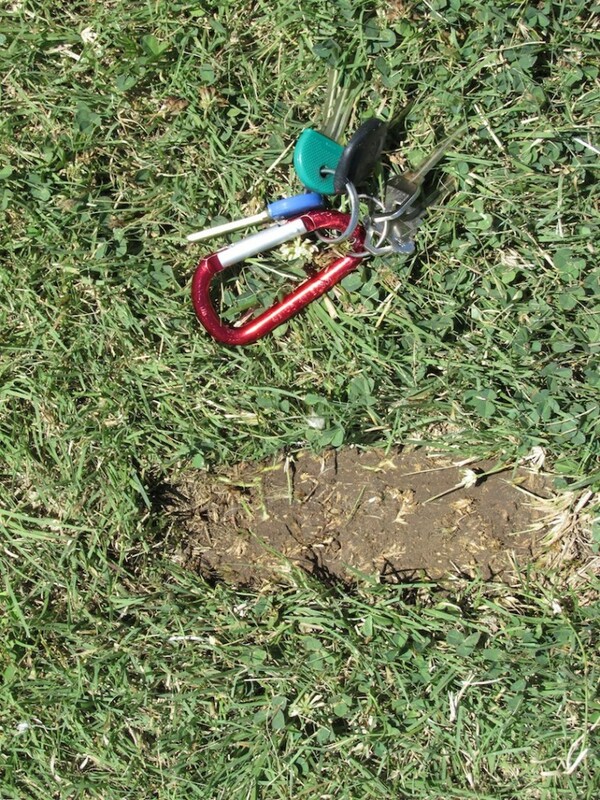 Research is needed to evaluate buffalograss fertility management to maximize divot recovery. The objective of this study was to determine the influence of N source and rate on ‘Cody’ buffalograss fairway divot recovery. 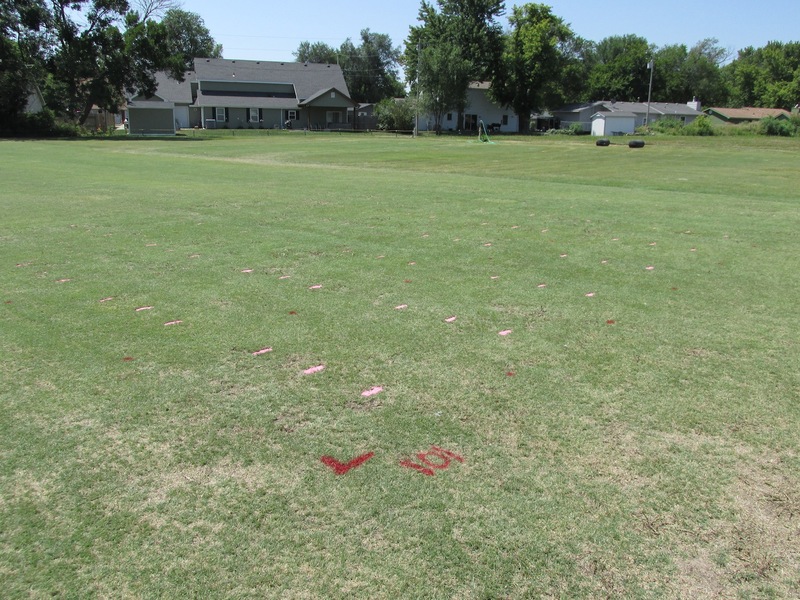 Field studies were initiated in August of 2014 at the Rocky Ford Turfgrass Research Center (RF) in Manhattan, KS and July 2014 at Council Grove Country Club (CG) in Council Grove, Kansas. Mowing was conducted twice weekly at 0.625 in and 1.00 inch at RF and CG, respectively. After study initiation, irrigation was only applied to prevent drought stress and water in fertilizer treatments. To prevent drought stress, approximately 1.5 inch of supplemental irrigation was applied at each site over the experimental periods. Treatments consisted of two N sources and four rates. Nitrogen sources were a quick release urea fertilizer (46-0-0) and a 120-day controlled release polymer-coated urea (PCU) (43-0-0). Nitrogen rates were 0, 1, 2, and 3 lb N/1,000 ft2. Nitrogen from urea was applied in two equal applications; one at study initiation and the other four weeks after initiation (WAI). All N from PCU was applied at trial initiation. 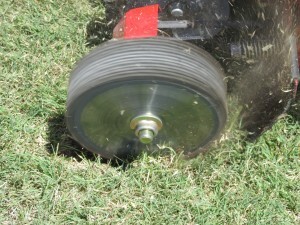 Prior to treatment application, divots were created using a custom built edger. Buffalograss’ low water requirements and its ability to be maintained at fairway mowing heights make it very valuable in low input turfgrass management systems. 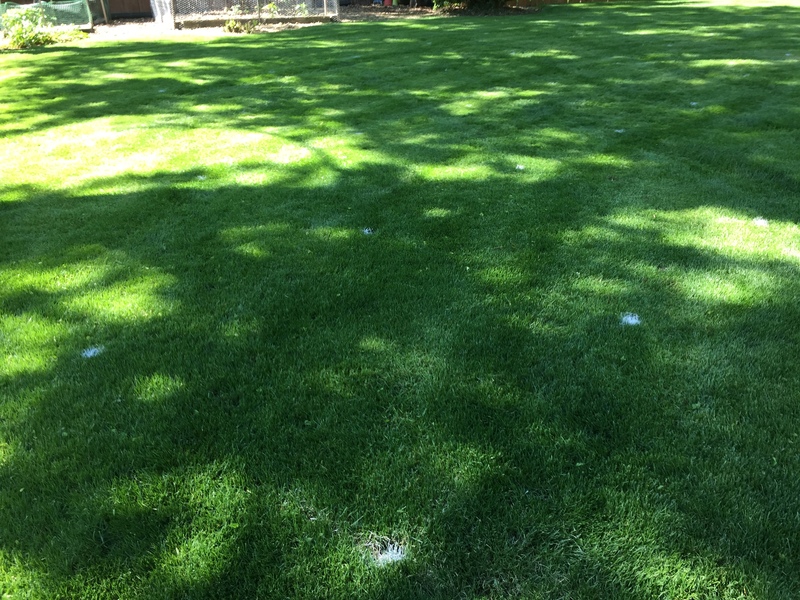 From the data collected in this study, applying a quick release N fertilizer at 1 to 3 lb N/1,000 ft2 will result in a shorter duration to reach 50% divot recovery compared to buffalograss receiving no N. Applying 1lb N/1,000 ft2 of a quick release product was determined to be the optimal fertilization rate to reach 50% divot recovery (2.5 weeks). 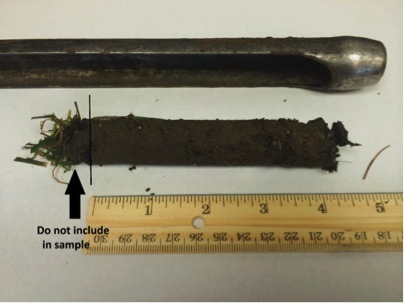 This study has shown that under limited irrigation situations and with minimal fertilization, buffalograss exhibits improved divot recovery and, thus, playability in low input turfgrass management systems. Beard, J.B. 1973. 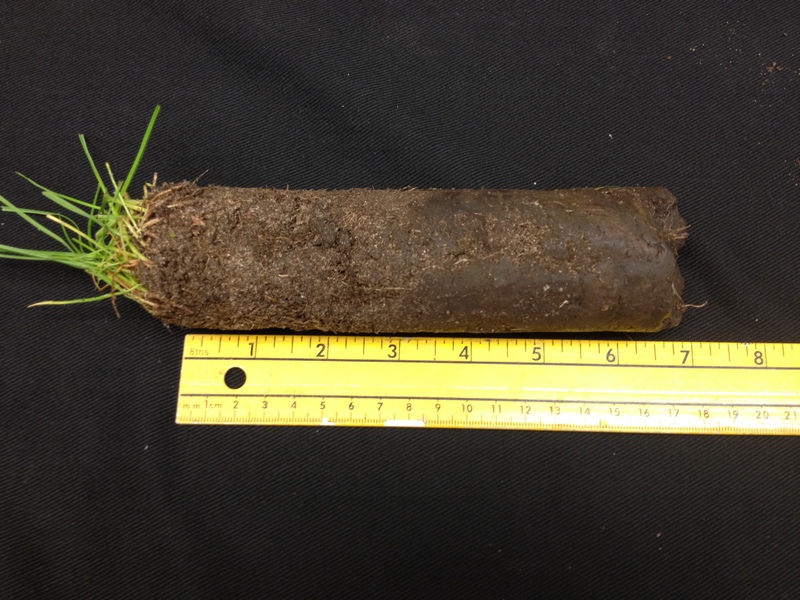 Turfgrass: science and culture. Prentice-Hall, Inc., Englewood Cliffs, New Jersey. Falkenberg, D.F. 1982. 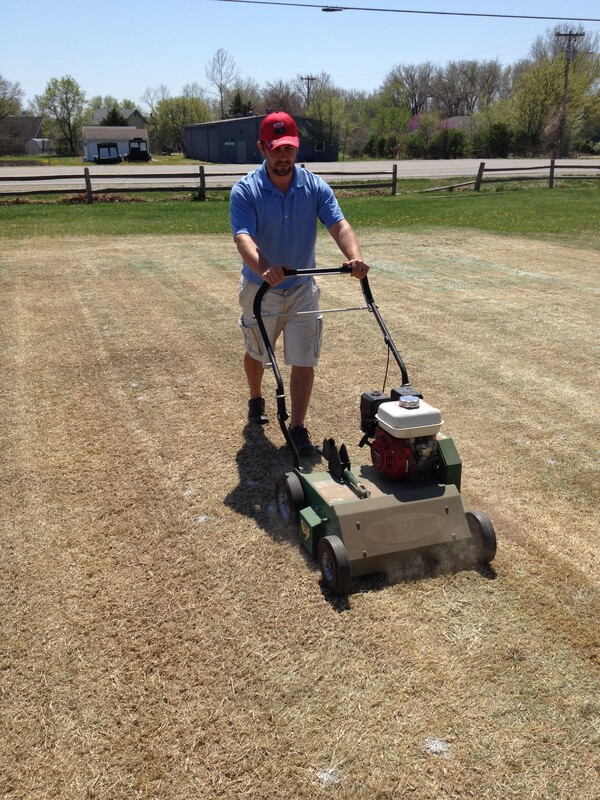 Buffalograss, blue grama, and fairway wheatgrass for dryland turf. M.S.Thesis. Colorado State Univ., Fort Collins, Colorado. Frank, K.W., R.E. Gaussoin, T.P. Riordan, R.C. Shearman, J.D. Fry, E.D. Miltner, and P.G. Johnson. 2004. 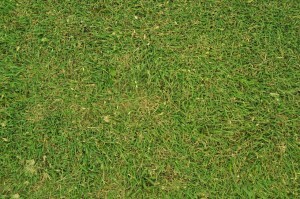 Nitrogen rate and mowing height effects on turf-type buffalograss. Crop Sci.44:1615-1621. Fry, J.D. 1995. Establishing buffalograss. Golf Course Management. 63(4): 58-62. Fry, J.D. and B. Huang. 2004. 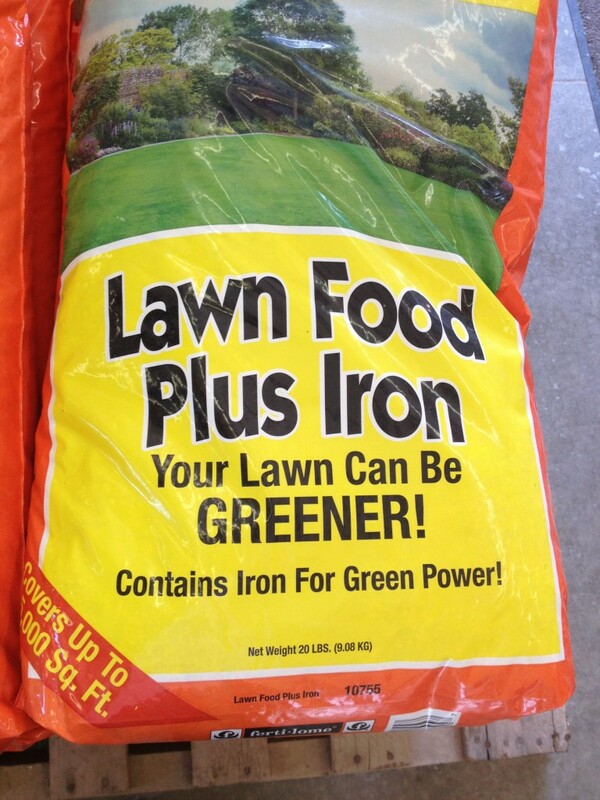 Applied turfgrass science and physiology. John Wiley & Sons, Inc., Hoboken, New Jersey. Fry, J.D., M. Kennelly, and R. St. John. 2008. 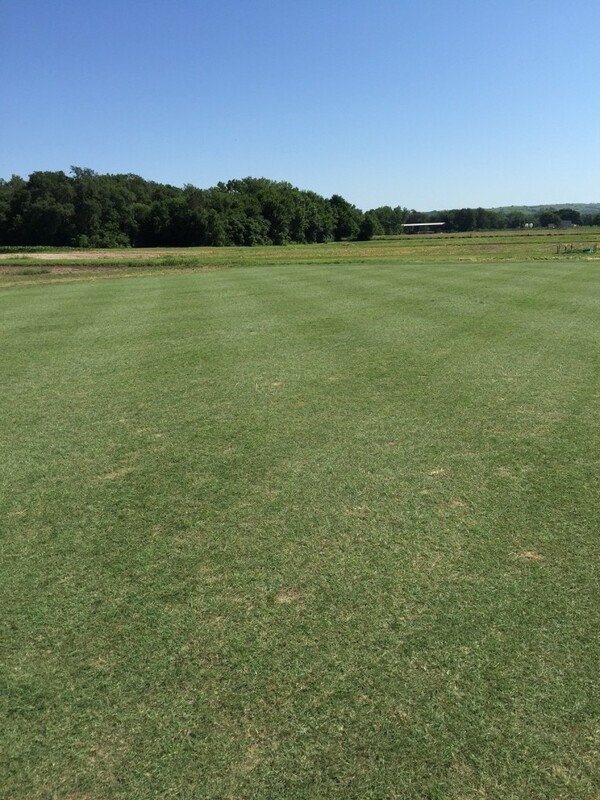 Zoysiagrass: economic and environmental sense in the transition zone. GCM May 2008, 127 – 132. McCarty, L.B. 1995. Buffalograss, description and use. University of Florida CooperativeExtension Service. p. 1-4. Throssell, C.S., G.T. Lyman, M.E. Johnson, and G.A. Stacey. 2009. Golf course environmental profile measures water use, source, cost, quality, and management and conservation strategies. Online. Applied Turfgrass Science doi:10.1094/ATS-2009-0129-01-RS. Wenger, L.E. 1943. Buffalo grass. Agricultural Experiment Station. Kansas State College of Agriculture and Applied Science. Manhattan, KS. Bulletin 321. Fall is an important time for cool season turfgrass species because air and soil temperatures are optimal for carbohydrate accumulation and root growth. However, adequate plant nutrition is essential for these processes to operate at maximum efficiency. The importance of using soil test reports to guide fertilization programs cannot be emphasized enough. 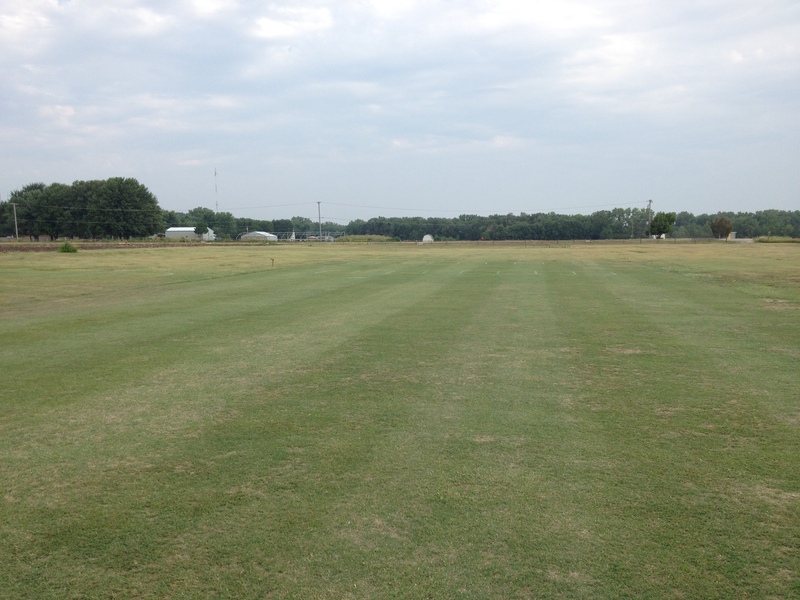 The Kansas State Soil Testing Lab (http://www.agronomy.k-state.edu/services/soiltesting/) provides a variety of high quality testing services for turfgrass managers. 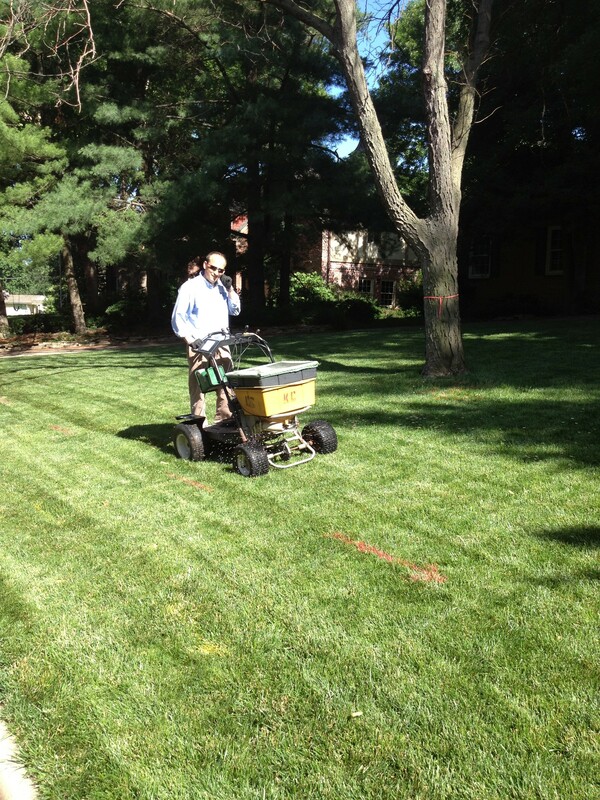 Testing for pH, phosphorus (P), and potassium (K) can be done for $6.50. A good sampling method is necessary to ensure the soil test results are accurately representing the sampled area. To sample, use a soil probe an extract a 4” to 6” core. The leaf and thatch material should be discarded from the core (see picture). Eight to ten individual cores should be extracted and combined into a single sample for testing. Results are typically sent back within a week of the lab receiving the sample. 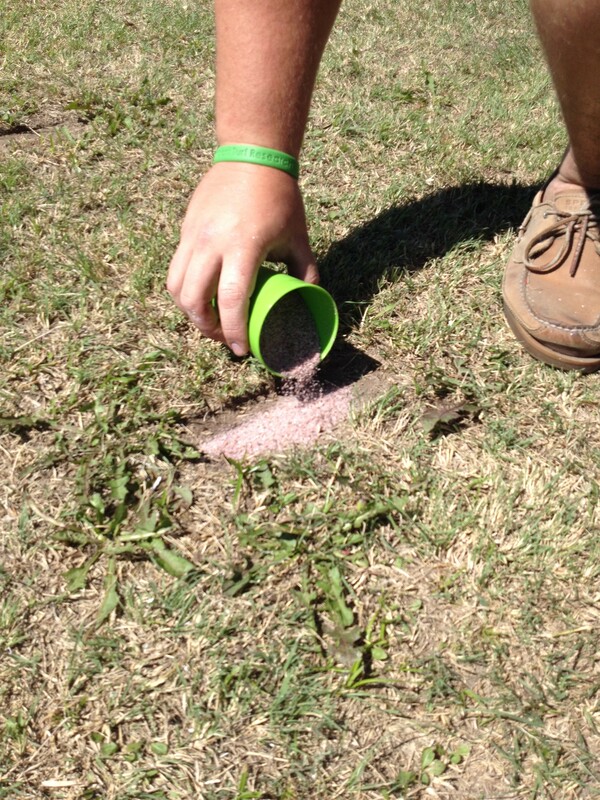 Fertilizer recommendations will also be provided by a county agent or K-State horticulturalist. Of all the possible nutrients, potassium is of particular interest as temperatures continue to decline, because it helps the plant acclimate to cold temperatures. Some soils, especially golf greens, throughout Kansas are low in potassium, leaving turfgrass more susceptible to winter injury. Deficiencies can be addressed by applying K containing fertilizers, such as, potassium chloride (KCl), potassium sulfate (K2SO4), and potassium nitrate (KNO3). Remember, soil tests are a relatively inexpensive tool, but provide a wealth of knowledge.